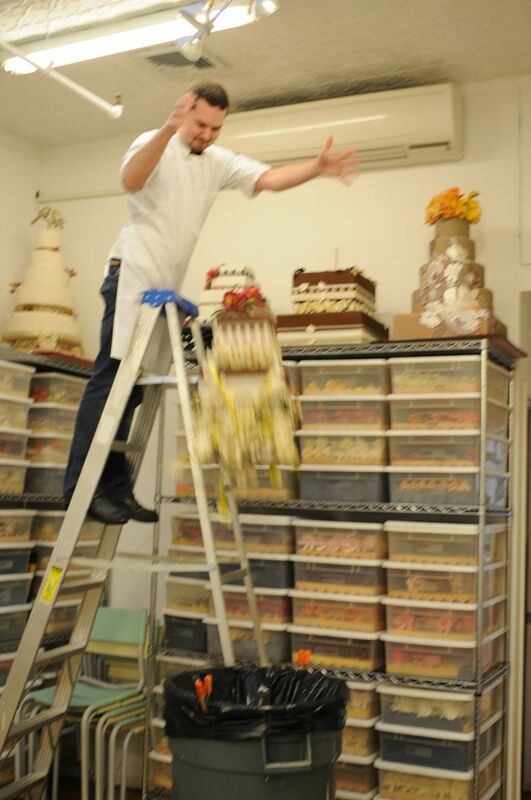 Ron has a hard time letting go of certain things in the bakery. Our display cakes are the best example of this. 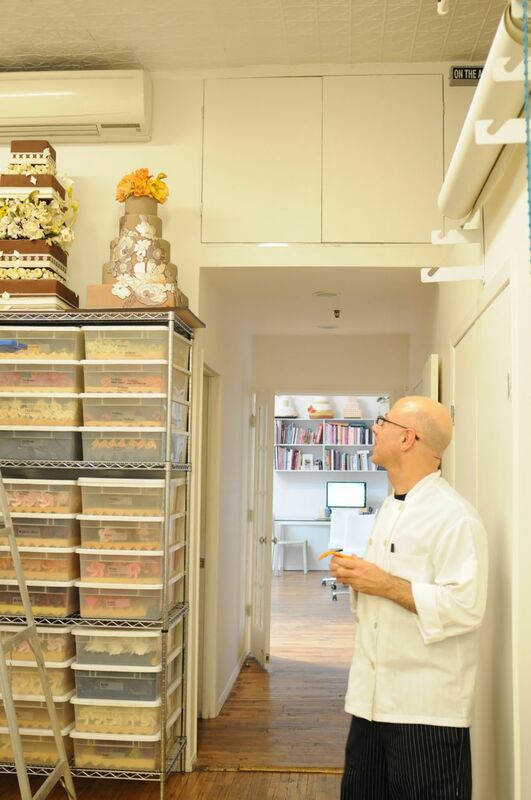 He gets attached to each and every cake that we make here. 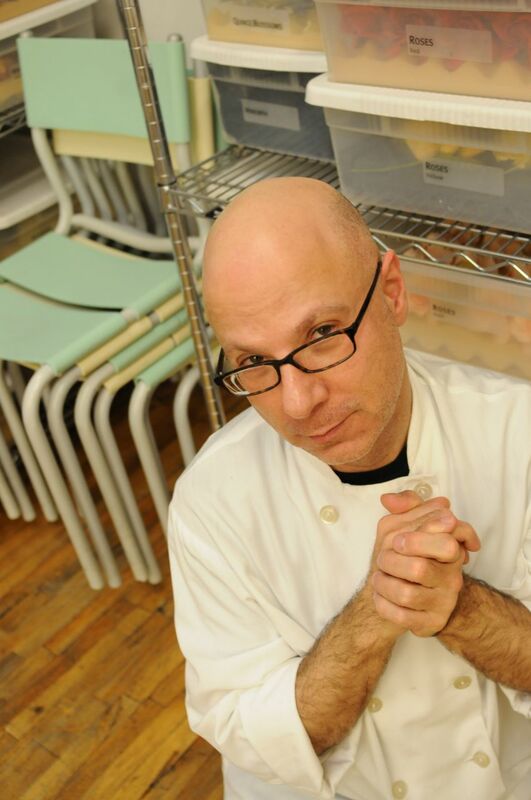 However….our bakery is in Soho in New York City and the rumors you heard about the amount of space one has in this city are true. While we are fortunate enough to have a large wonderful space with natural light and lots of worktables, this is still NYC and we have “no space”. 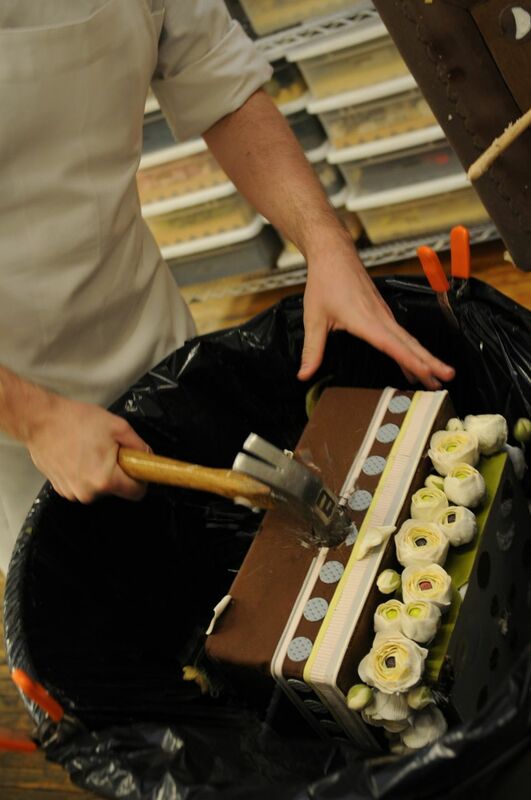 With that being said, sometimes we have to say goodbye to our older display cakes. We can keep them for about 5 years, but over time they do get dusty, things break off (it is sugar after all) and the more display cakes we make the less room we have. Ron longingly looking up at the cake in question (it's the one in the middle). 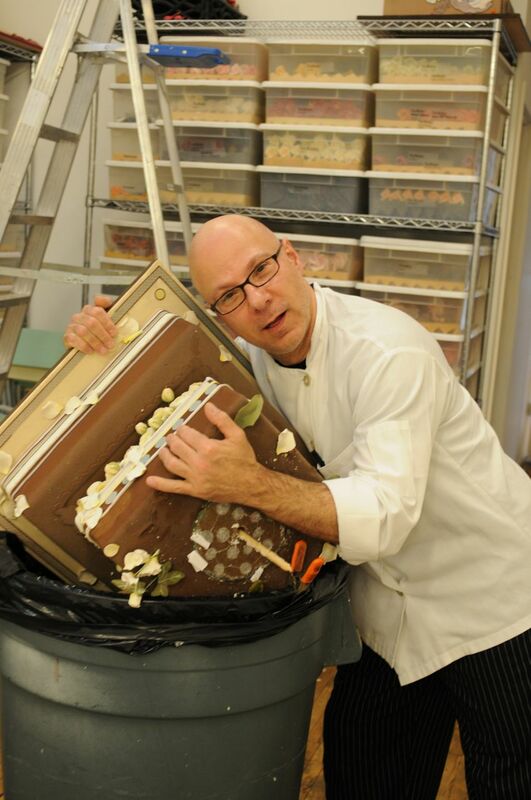 Our head chef Jeffrey dropping the top part of the display cake in the garbage. 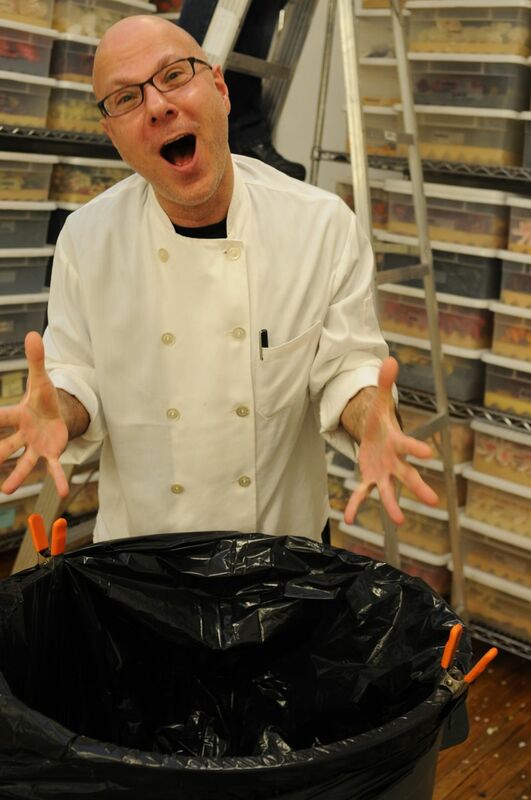 We tried to fit the bottom of the cake in the trash can, but it didn't quite work out. Ron gave it one last hug. So to make it fit, Jeffrey took a hammer to it. It's going to be ok Ron, we will make more, I promise! Too cute! Love you, Ron! I feel your pain Ron! I detest making way for new display cakes! Oh I feel your pain. There are very few cakes, display or real, that I become attached to, but there are a few where I have felt extreme separation anxiety when it’s time to let go. About this. it’s a joke ? No way. It can”t be happend!!!!!!!!!!!! !